Recent years have seen an increase in opioid-related deaths, resulting in renewed interest in non-pharmacologic treatments for managing chronic pain. Although psychology has a long-standing history in pain care, many clinicians have a limited awareness of its historical and ongoing presence in this arena. Verbiage commonly used in addiction and pain domains will be clarified and proposed core competencies for the practice of pain psychology will be presented. Original webcast date: January 18, 2019. Articulate the differences between acute and chronic pain etiology and treatment. Identify evidence-based treatments for pain. Differentiate among commonly used terms in the spheres of addiction and pain. 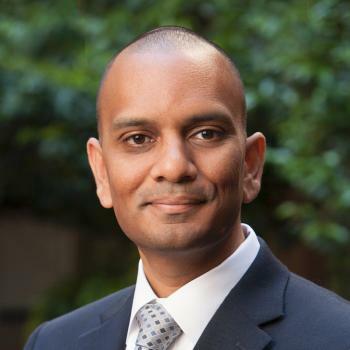 Dr. Prasad is a pain psychologist at Stanford University. He is currently the program director for the Stanford Comprehensive Interdisciplinary Pain Program, an inpatient program that is designed to help patients reduce their reliance on opioid medication through use of self-management strategies. He developed a fully-accredited postdoctoral fellowship program to help train future leaders in pain psychology and created interest groups within APA and the American Academy of Pain Medicine to help promote the visibility of pain psychology and interdisciplinary pain care. Outside of the realm of pain, Dr. Prasad leads efforts to improve clinician wellness within the Stanford system.